Cinematic Premiere of 'Muling Buksan Ang Puso' Captures the Hearts of Viewers! ABS-CBN’s newly launched drama series “Muling Buksan Ang Puso” topbilled by Kapamilya network newest 'Primetime Idols'--Teleserye Sweetheart Julia Montes, Versatile Actor Enchong Dee, and Next Ultimate Leading Man Enrique Gil--quickly won the hearts of primetime TV viewers with its heartwarming storytelling and musical scoring, world-class cinematography, and excellent performance of its cast; particularly of Queen of Philippine Movies Ms. Susan Roces, whose portrayal as Adelina Beltran was powerful enough to make a mark in the first episodes of the series. Now that Adelina succeeded in destroying the budding relationship of Carissa (Agot Isidro) and Nicholas (Jestoni Alarcon), will she also be able to control the future of her grandchild? 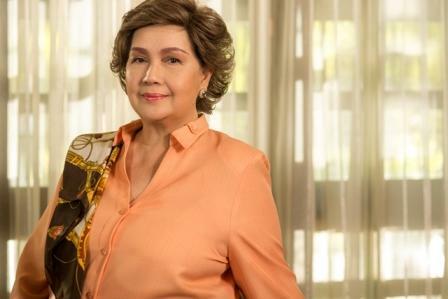 How will motherhood change the lives of Carissa and Marietta (Cherie Gil)? mataas kya cla sa slot nila ..